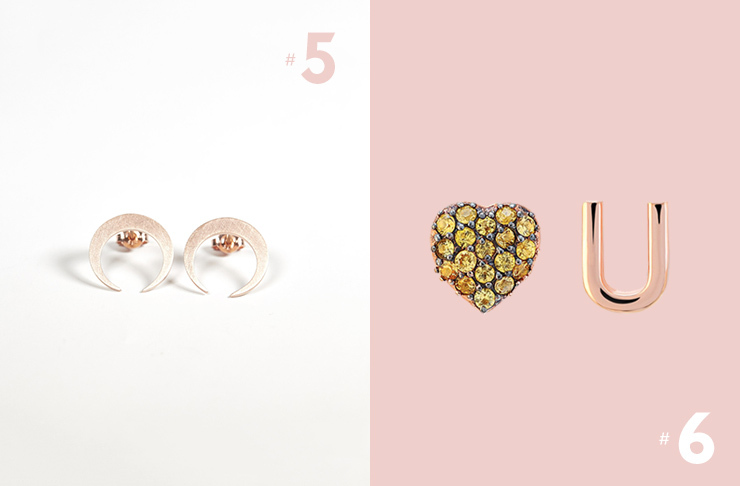 Forget stackable rings or—horror of horrors—bangles, this season is all about loading up your lobes with unique statement pieces and pretty piercings. When it comes to dressing up your fleshy hearing aids, ears are the new fingers, so to speak, and there's never been a better time to stock up on quirky classics and one-off pieces to bulk up your jewellery box. 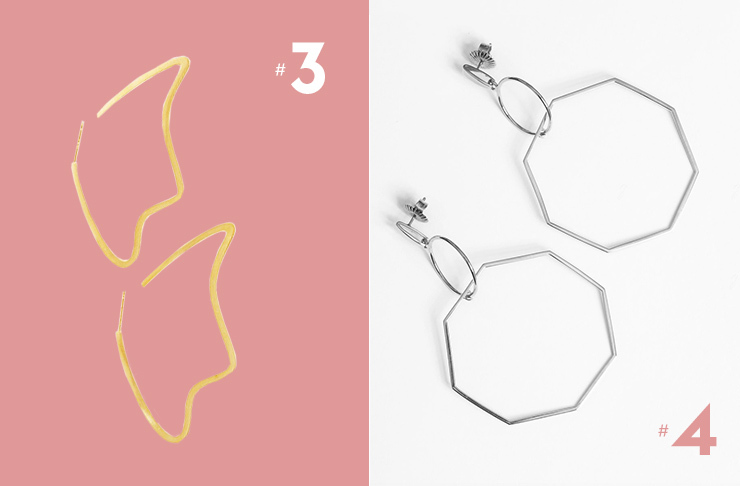 Here's 8 of the best minimal statement earrings. Wallets at the ready! Not for the faint-hearted, Rachel Boston's nigh on iconic Spine Ear Cuff is a real conversation-starter, and totally nods to the '90s grunge resurgence. Match your ear cuff with an attitude to match. Nil additional accessories required. 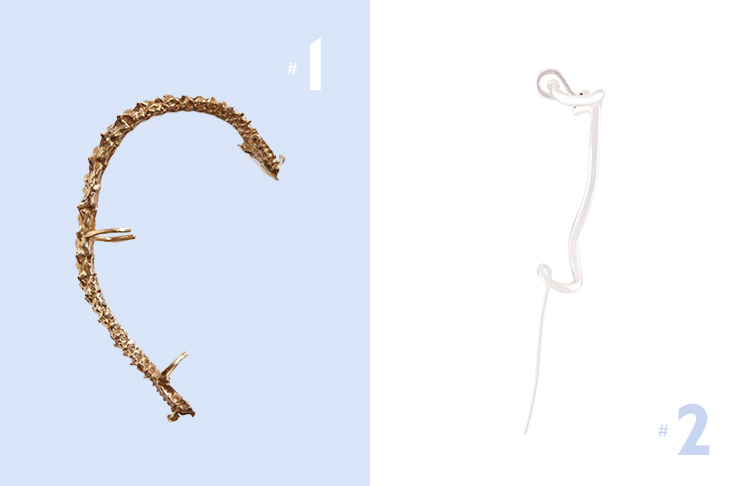 Bodering on art vs. jewellery, French designer Charlotte Chesnais' sterling silver ear cuff is meant to be worn solo. Do as any mornern Parisian would, and pair with a simple silk shirt and black blazer. C'est magnifique! Australian-based duo, Sarah & Sebastian have a cult-like following on a global scale, thanks to their delicate, unique, and pretty designs. Their Marquette Earrings are the perfect subtle statement pieces to take you, oh so stylishly, from day to night. Worth. Every. Penny. Looking for a modern take on the perfect 'statement' earrings? Natasha Schweitzer is known for her simple designs that are incredibly leightwieght, handcrafted, and totally timeless. The Odette Earrings are bold enough for a night on the town, yet subtle enough for the office. The ultimate investment piece? Sometimes, you need a classic pair that blends seamlessly with all your other jewels, and By Baby's Crescent Studs are your ticket to your ears looking totally on point, 365 days a year. Whimsical jewellery can look stylish and chic, as proven by Aamaya Priyanka's Heart U earrings. Super-cute and sparkly—who doesn't love a bit of bling—these are the perfect earlobe accessories. Our obsession with ear bars have reached obsessive new highs, thanks to Ryan Storer's Large Ear Bar in gold. A modern classic, this is one piece that we guarantee will tick all the cost-per-wear boxes! Gold and green is the perfect tropical colour combo (and totally patriotic! 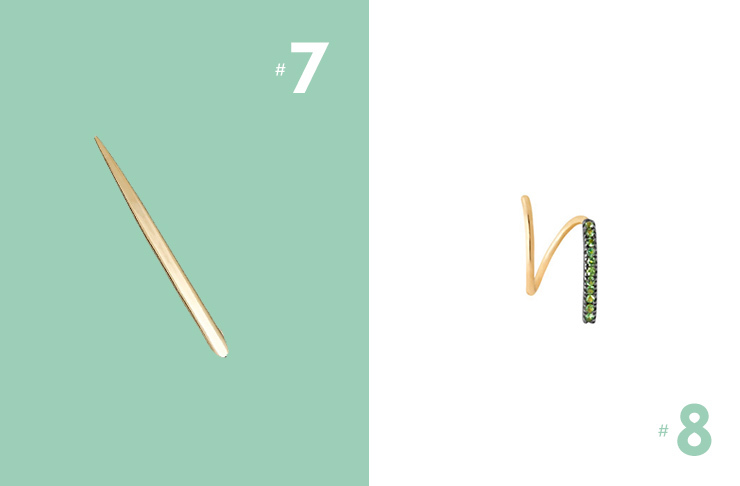 ), which Maria Black's Bella Vert Twirl Earring has totally nailed. Way more interesting than a simple stud, we think! Need som inspiration for a night on the town read: a place to show off your new peircing purchases)? Check out Brisbane's best rooftop bars; the perfect spots to flash a bit of ear bling!